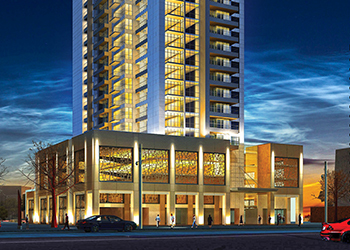 Bahwan Tower ... premier residences. Bahwan Group has appointed leading international real estate consultancy Cluttons as exclusive sales agent for its first residential tower in the UAE. Located conveniently off Burj Khalifa Boulevard, Bahwan Tower is set to establish a premier residential address in the community. Its 132 apartments are complemented by the offering of infrastructure and amenities in the local area. “The freehold apartments are available with an attractive payment plan where 75 per cent is paid on delivery of the apartment. We expect strong interest ahead of the fast-approaching December 2017 completion date,” says Lucy Bush, the head of residential sales and leasing at Cluttons. Bahwan Tower features one-, two- or three-bedroom apartments, an outdoor swimming pool, a hitech gym and gym terrace, a children’s play area, secure parking, a large lobby with meeting area and ground floor retail space. Over the last four years, there has been a paradigm shift in the structure of transaction activity in the Dubai real estate market, says a report. Historically, the majority of transactions would be on a cash basis, with mortgages accounting for only 25 per cent of overall sales. However, in recent years this situation has inverted, where now mortgage transactions account for the bulk of the activity, says the Reidin report. This shift can be attributed to an increase in homeownership, existing owners extracting liquidity, and investors optimising on capital structures, it says. The increase in homeownership in certain communities can be witnessed through the buying patterns. Typically home-owners tend to buy larger size units compared to studios and one bedrooms. An analysis of transactional activity by unit size in Greens and Downtown communities reveals that in the last six years, the former has experienced an increase in larger size units compared to the latter. A similar analysis was conducted in JVC and Sports City. Although both communities had a higher percentage of studio and one bedrooms, JVC has begun to see a shift towards larger size units. This implies that homeownership has begun to take root within this community, whereas Sports City remains investor driven similar to Downtown. Reem Mall ... community living. Reem Mall, a leading shopping, leisure and entertainment destination in Abu Dhabi, said it has signed a strategic agreement with Dubai Holding Group to bring its new retail offering to the UAE capital. Dubai Holding Group represents some of the finest international fashion and lifestyle franchise stores in the region, and is one of the Middle East’s most progressive and fastest growing retail organisations representing famous brands such as Zara, Zara Home, Flamant, Promod, Stradivarius, Women’s Secret, Gerard Darel, Sfera and Delvaux. 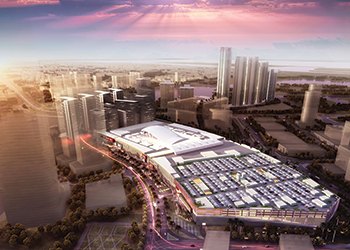 A 2.9-million-sq-ft retail, leisure, dining and entertainment destination, Reem Mall is being developed by leading Kuwaiti groups National Real Estate Company (NREC) and United Projects for Aviation Services Company (UPAC) on Abu Dhabi’s Reem Island at an estimated cost of $1 billion. The leisure destination project will comprise around 450 stores, including 85 F&B (food and beverage) outlets and a range of family-focused entertainment offerings including the world’s largest indoor snow-play park. It is expected to be launched in 2018. It will also house the world’s largest indoor snow-play park, a 125,000-sq-ft indoor amusement space, characterised by unique entertainment for the entire family including sledging, zorbing and luge. “Reem Mall will be a mixed-use development with a sense of place and community cohesion built in,” he adds. Akoya Relax ... green spaces. Damac Properties, a leading luxury real estate developer, has launched two villa communities – Akoya Relax and Akoya Fresh – within the refreshing green spaces of international golf community Akoya Oxygen in Dubai, UAE. Akoya Relax comes with a special introductory offer. 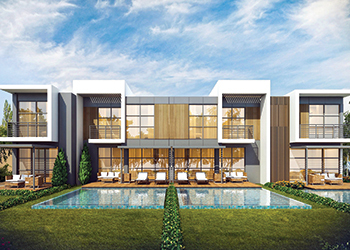 The cosy villas with starting prices of Dh1.6 million ($435,493), are available in a variety of sizes and floor plans and owners will benefit from the free-of-charge community service, in addition to free property management and free maintenance for a period of five years from the date of completion. Akoya Relax is a community focused on well-being where residents find a work/life balance and young professionals, couples and families can de-stress and live a more relaxed way of life, said the UAE developer. Meanwhile, Akoya Fresh is a collection of three-bedroom villas. Priced at Dh1.2 million ($326,626) payable over three years, each villa comes with a plot title deed. Furthermore, each villa in the two communities comes with a plot title deed, for complete ownership and freedom, sunny back yard to relax in as well as separate kitchen and living areas. Less than a 20-minute drive to downtown Dubai, Mall of the Emirates or Palm Jumeirah, the property is located in Akoya Oxygen, home to an international golf community and Vista Lux with its array of shopping and dining options. Akoya Oxygen, which features a peaceful lifestyle, is part of a new area conveniently located close to major road networks for great connectivity and within reach of any destination in the city without hassle. Al Zorah Development, a joint venture between the government of Ajman and Solidere International, has joined hands with renowned wellness brand The LifeCo to build its first retreat in the GCC region at Ajman, UAE. A wellness management company EZ Wellness has been signed up for building the project. The work will start on the development by mid-2017. Spread across 90,000 sq ft on two levels above ground, The LifeCo at Al Zorah wellness project will come up right in the midst and on the highest point of the lush 18-hole Nicklaus-Design golf course. It will be located adjacent to the 2 million sq m of natural mangroves, home to over 58 species of birds and diverse marine-life. Translating its award-winning concept for the first time in the GCC, The LifeCo at Al Zorah aims to provide a more personalised experience through its revolutionary and innovative programmes to all the residents and guests of Al Zorah. The LifeCo at Al Zorah wellness centre will boast a layered approach to wellness with treatments that are an intuitive mix of science and human awareness, where a high-tech and high-touch approach defines service that is crafted around the individual. Andalusia Garden ... 1,800-sq-m retail development. CBRE, a global real estate advisory firm, has been appointed as the exclusive property manager and marketing advisor for Andalusia Garden, a new modern extension to Bahrain’s Andalusia Complex, which accommodates a variety of food and beverage (F&B) and retail outlets. 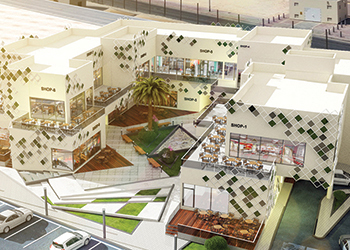 Coming up in Zayed Town, Andalusia Garden is a 1,800-sq-m retail development centered around a landscaped courtyard, with indoor and open-plan dining options. The complex provides eight units with a total leasable area across the project of 1,296 sq m. Each unit is double storey, with a rooftop terrace, as well as outdoor areas on the ground and first floors. There is ample parking on the site and the development is highly visible from the Shaikh Salman Highway. It is expected to open towards the end of Q1 2017 and is set to attract diners from Isa Town, A’Ali, Riffa and Sanad as well as Zayed Town, as its primary markets.